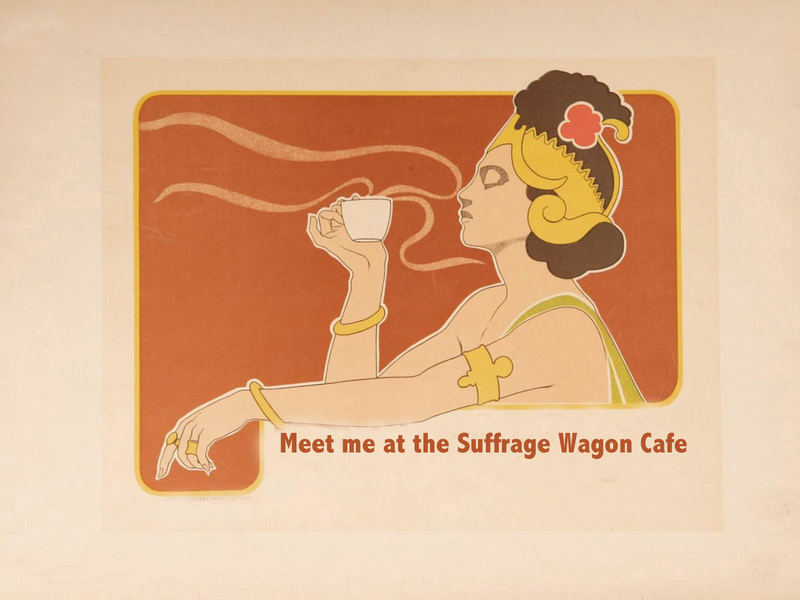 This special program from Suffrage Wagon Cafe features Seneca Falls, NY and the importance of making a journey or pilgrimage there to connect to our roots. PLENTY OF VIDEOS AND RESOURCES! Welcome to the Suffrage Wagon Cafe with a special program on Secena Falls, NY. The odds were at least a million to one or higher against the small band of 68 women and 32 men who showed up in Seneca Falls, NY in mid-July of 1848 to sign their own version of the Declaration of Independence. These brave souls relied on each other and brave allies for reassurance, support, and nourishment. And they realized that if they didn’t do something, few others would be able to take the issue of inequality to the level where it needed to go. Make no mistake about this important event in American history: a handful of people got the ball rolling. Was the 1848 convention in Seneca Falls, NY as important as people claim it was? Find out the details in this special report now available at the web site of the Women’s Rights National Historic Park in Seneca Falls, NY. Five women met together in a house near Seneca Falls in July of 1848. They wrote up their grievances, published an announcement in the newspaper for the convention, and held their collective breaths. It not unlike today when we take a stand against injustice, telephone or contact friends and family, and then send messages by way of social media, emails, letters, leaflets, and text messages. The activists of 1848 showed up in Seneca Falls to meet together and they kept stepping. Many wondered if they could accomplish the goal of equality in their lifetimes. But a core of stubborn activists persisted. “Yes, we can and we will,” they insisted. The rest is history and we’re celebrating this accomplishment today! The year 2017 is New York State’s suffrage centennial observance. In 1917 New York women won the right to vote. This extraordinary accomplishment turned the tide for the nation’s women as it doubled the number of women voters in the United States with the addition of the women from New York. This means Seneca Falls, NY will be decked out in 2017. So, if you haven’t started planning travel for 2017, get started now! And make a trip today as well! (1.) Convention Days in Seneca Falls, NY, July 17-19, 2015. A two-day celebration has a schedule, not yet announced. Check the Convention Days web site for details as they become available. (2.) The 200th birthday of Elizabeth Cady Stanton during 2015. Save the date for an evening at Cooper Union in New York City on November 12, 2015 for a big birthday bash. See details. And then party yourself at home or in your own community. Be inspired by a virtual birthday party for Elizabeth Cady Stanton and then plan one yourself. (3.) Places to visit in Seneca Falls, NY include the NPS Women’s Rights National Park, the National Women’s Hall of Fame, and other local attractions. RESOURCES: Plan a trip to Seneca Falls, NY. Take advantage of this seven-part audio series, “Trouble Brewing in Seneca Falls,” by Elizabeth Cady Stanton from her book, Eighty Years and More. The reading is by Librivox and the production by Suffrage Wagon News Channel. “Trouble Brewing in Seneca Falls.” Podcast #1. Podcast #2. Podcast #3. Podcast #4. Podcast #5. Podcast #6. Podcast #7. Seneca Falls, NY is a pilgrimage and a destination! on Vimeo. Celebration of the anniversary of the Seneca Falls Convention of 1848! on Vimeo. Musical Tribute to Suffrage Leader Elizabeth Cady Stanton during her 200th birthday celebration in 2015! on Vimeo. Significance of Seneca Falls women’s rights convention in 1848 featured in special report! on Vimeo. Combine Travel with Cultural Heritage Tourism on Vimeo. Get prepared for the release of the “Suffragette” film from the U.K. in October 2015!